Buying a home is one of the biggest investments you will ever make. Unfortunately, most people do not have the cash to purchase a home outright. While homeowners generally try to avoid debt, a mortgage is different. Home loans are considered a type of ‘good’ debt as they increase your net worth and provide future value. Despite this claim, many homeowners continue to ask the same question: “Should I pay off my mortgage early?” The short answer is yes. If you have the extra income to put towards your mortgage it can be beneficial to pay off your home loan and reap the subsequent perks. One of the biggest reasons to pay off your mortgage early is to save money. A home loan is broken down into two main parts: principal and interest. The principal of the loan is the amount you borrow for the cost of the home. For example, if you have $30,000 saved but want to purchase a $250,000 house, you will need a $220,000 home loan. The $220,000 is the principal. The interest is the fee you pay to borrow the money. By making early mortgage payments, you can greatly reduce the amount of interest paid. You are likely paying hundreds to thousands of dollars a month towards your mortgage. When you pay off your home loan early, you can use the extra cash for other things. Achieving financial freedom allows you to live the life you always wanted. 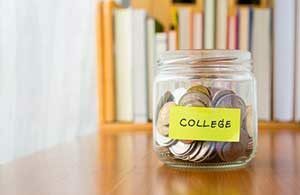 Use the extra funds to travel to a foreign country, buy a new car, or save towards your children’s college tuition. The amount you save each month can also be allocated to other expenses, such as pursuing an important project or building up your savings account for an early retirement. 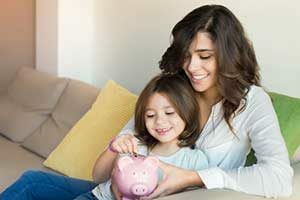 Gathering the money needed to pay a mortgage each month can be stressful, especially if you are already on a tight budget. Paying off your mortgage early by throwing small chunks of extra money at the principal each month can help you achieve financial freedom quicker. This not only reduces stress during your younger years, it can also be beneficial as you reach retirement. Many seniors struggle to pay their bills after they stop working. By paying off your mortgage early, you can maintain a more secure retirement. Paying off your mortgage early can provide security in a number of ways. First, you have the peace of mind knowing that you do not have a major loan hanging over your head. Once it is paid off, the home belongs to you and you are no longer obligated to make monthly payments. You also get the security of knowing that you have extra money each month for unexpected expenses. Life happens, and you may find yourself without a job or facing a major illness. With extra money in your pocket, you can handle these types of situations more efficiently. Like any other type of debt, your home loan can cause your credit to lower due to the large amount of money borrowed. If you miss a payment, your credit score can take an instant nose dive. Late payments remain on your credit report for up to seven years which can affect lending decisions. By paying off your mortgage early, you can start to build back up your credit. If you wish to purchase a vehicle, a second home, or make another major purchase, you will have good credit that can help you get a lower interest rate and other benefits. As you grow older or personal situations change, you may find the need to move or downsize. Downsizing is especially common as adults reach retirement as large homes are more difficult to clean and maintain. When you go to sell your home after paying off the mortgage early, you can use the money made from the sale to fund your new home. The more equity you have in a home, the more profit that you will receive upon selling. If you fail to pay off your mortgage, you will need to repay the lender before pocketing any profit leftover. Homeowners often wonder ‘Should I payoff my mortgage early or continue to make the minimum payment?’ While everyone’s situation is different, it is often in the best interest of the homeowner to pay off the mortgage early if their budget allows. 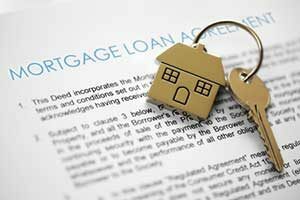 For more information about mortgage services, contact Fairfax Mortgage Investments today.